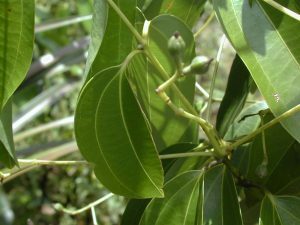 Cinnamon Leaf Essential Oil- Is it Powerful? Lots of people ask me what is one of the most powerful essential oils? For me it is Cinnamon Leaf not Cinnamon Bark however I have decided to really go into depth about Cinnamon Leaf and Cinnamon Bark for the next 3 months. We will discuss their therapeutic properties, how to use them and their contraindications through videos on my Youtube Channel called Learning Essential Oils with Lorrie . What is Cinnamon Leaf Essential Oil? Todd J1, Friedman M, Patel J, Jaroni D, Ravishankar S. 2013, The antimicrobial effects of cinnamon leaf oil against multi-drug resistant Salmonella Newport on organic leafy greens. *IFRA- Rose and Clove contain methyleugenol which is considered a skin Irritant when combining Cinnamon leaf with them this could cause formulations to exceed the IFRA restriction limits to be considered safe. Nutmeg contains safrole which can only be used in very small amounts and Cinnamon leaf contains small amounts blending them together can cause restrictions in formulations according to the IFRA Standards. Enjoy all the wonderful attributes of Cinnamon Leaf Essential Oil. This entry was posted in A Practical Guide to Aromatherapy, Cinnamon Essential Oil, Cinnamon leaf Essential Oil, Common Scents Book, Essential Oils Safety, Frankincense Essential Oil, Geranium Essential Oil, International Standards, News Updates, Rose Essential Oil, What is Cinnamon Leaf Essential Oil and tagged Antimicrobial, Chills, Cinnamon leaf Essential OIl, colds, Coughs, Essential Oil, flus, Frankincense essential oil, IFRA, Protective Air Spray, What is Cinnamon Leaf Essential Oil on December 2, 2018 by Lorrie Hargis. 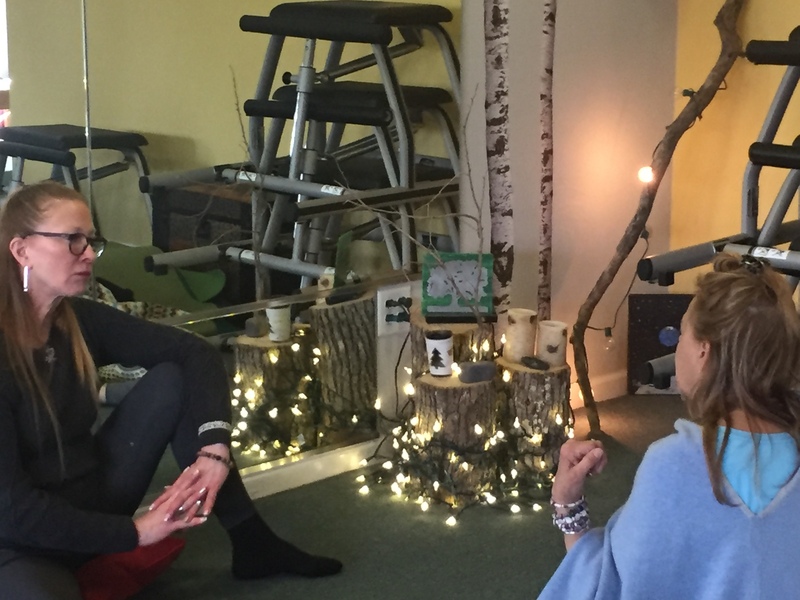 Essential Emotional Healing Workshop- Using Essential Oils and Flower Essences! BACK BY POPULAR DEMAND !!! 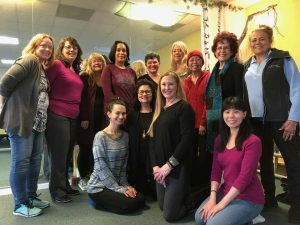 Join Lorrie Hargis,RA for an Epic Highly- Experiential, Hands – On Emotional Healing Workshop that Combines the Power of Essential Oils and Flower Essences and Life Changing Inner Transformations. 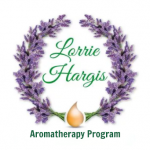 Lorrie Hargis is a Registered Aromatherapist, Certified Flower Essence Practitioner and renowned International Aromatherapy Teacher, Trainer and Author. Interpreted in Spanish by Dr. Julissa Hernandez, ND and Author. Your Investment is only $199.00 – Seating is limited. I attended in April. 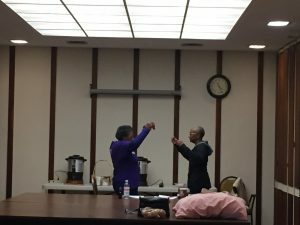 I helped my 70 y.o. recently widowed neighbor who suffers with anxiety attacks by giving her a roll on blend from Lorries recipes. She just called me and asked for more! I must find my notes as soon as this session is over! I really recommend the class. Life changer!!! Your class has given me the tools to use more essential oils. 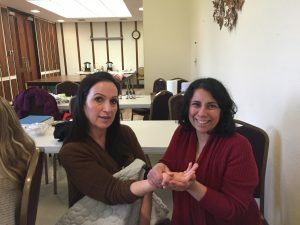 I am teaching two oil classes at a local hospital. I am studying your materials and you really set the stage for that. I am so glad I took your class. It was so great. Your books are so good and useable. 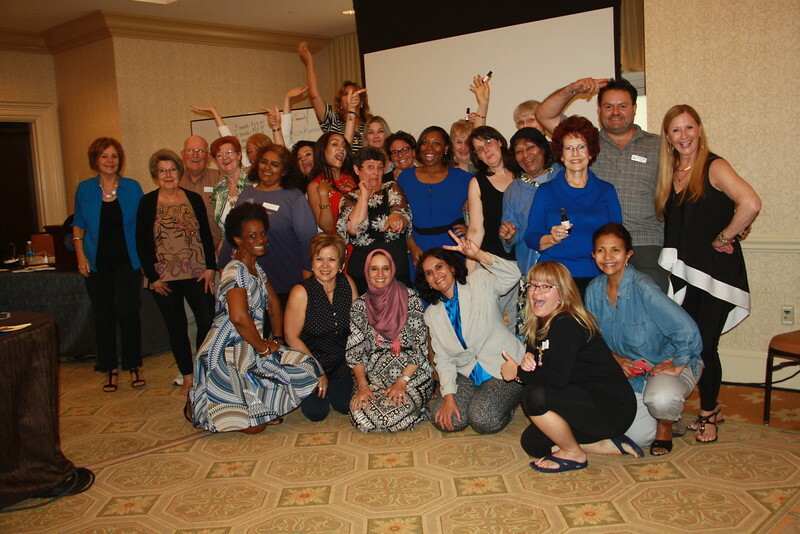 I was so impressed with your class. I certainly came home with so much more than the cost. You are amazing. I am so glad I got to meet you and consider you one of the most gifted and loving souls in this business and I really mean that. Have a great day. 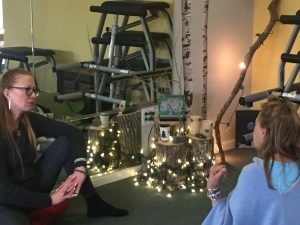 My eyes were opened to many new techniques for Emotional Healing. The Essential Oil blends made in the class lead me to more understanding about how to use Flower Essences and Essential Oils. Then learning how to reshape a negative personal story are some of the valuable things that I learned in the Emotional-healing Workshop with Lorrie Hargis RA. So thankful that I will receive the recording of this as well because it was packed with valuable information on Emotional Healing that I will share in the near future. Sign up NOW for $175.00+ Bonuses before September 21st. Seating is limited. The Authentic Essential Oils and Flower Essences that you will need for Emotional Healing. How to apply Essential Oils and Flower Essences Safely and Effectively. 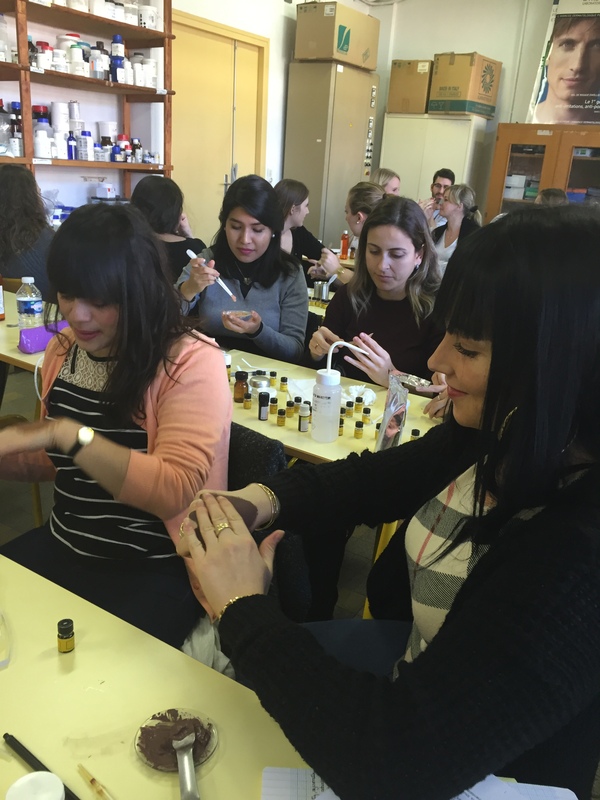 Make three hands on formulations to take home with you. PLUS your own Personal Blend for what ails you. Your Investment is $175.00 which includes the BONUSES a value of $37.50 before September 21st. Seating is limited. Common Scents Community members Investment is $155.00 before September 21st. 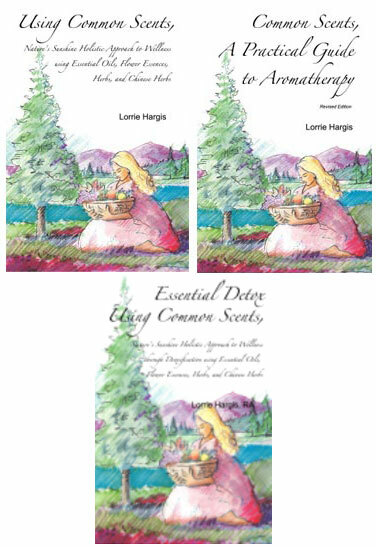 This entry was posted in A Practical Guide to Aromatherapy, Anxiousness, Carrier Oil, Common Scents Book, Common Scents Community, Daily Essentials, Essential Oils Safety, Flower Essences, Hands on Blending, LIVE STREAMING, News Updates, Using Common Scents Booklet on January 25, 2017 by Lorrie Hargis. 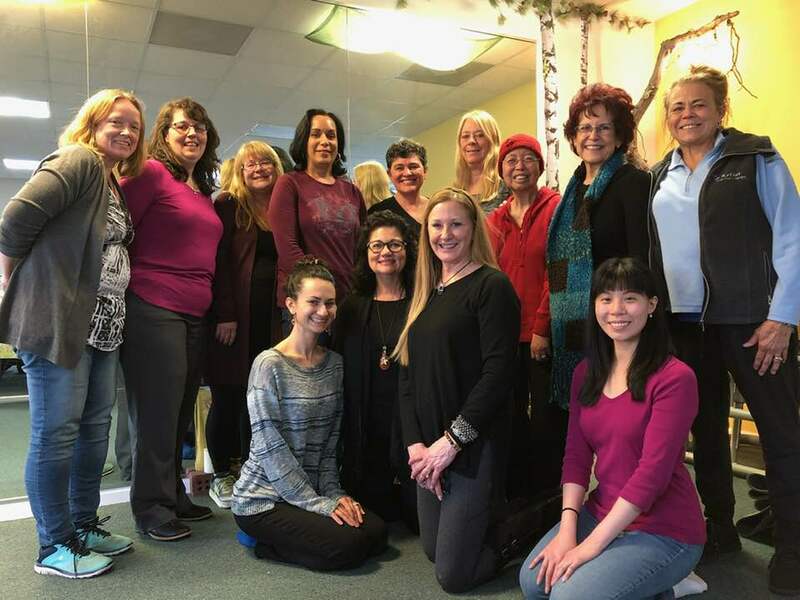 Introduction to Aromatherapy Training Webinar on my Birthday!! Last year, I decided to share about essential oils on my birthday which is twelve days before Christmas and I can’t wait to do it again. I am so happy to be 57 years old on December 13th with good health and lots of wonderful changes and happiness in my life therefore I wanted to share my birthday blessings with you by offering you a special perfume that I developed that you will hear on video below. Make sure you have your pen or pencil ready to write it down. 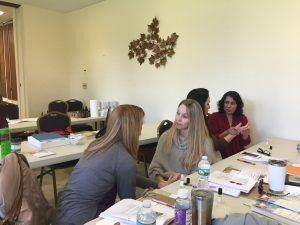 My previous work as a developer for organic cosmetics ( skin care, perfumes, bath and hair products based on aromatherapy) is something I really enjoyed and it makes me so happy to share it with you in my song ” Twelve days before my birthday” as my gift to you while offering my Live on line Introduction to Aromatherapy Webinar. Below the Video is the course offer and the items you will need to be in the course because this is a hands on learning experience. Please email ruth@lorriehargis.com for information on future “Introduction to Aromatherapy” training webinars. Make a diffuser blend to uplift you during seasonal changes for your home or office. Make a detox clay pack. When you register for this training you will receive a confirmation email containing information about joining the training. I look forward to sharing this Webinar with you! This entry was posted in Aloe Vera Gel, Aromatherapy Training Webinar, Bath Salt, Carrier Oil, Clean, Common Scents Book, Essential Oil Recipes, Essential Oils, Essential Oils Safety, Golden Salve, Homemade Salve, Introduction to Aromatherapy Course, Introduction to Aromatherapy Webinar, Lavender Essential Oil, Lemon Essential Oil, Mandarin Orange Essential Oil, Natures Sunshine Concentrate, News Updates, Peppermint Essential Oil, Red Mandarin Essential Oil, Red Mandarin Essential Oil, Sea Salt, Using Common Scents Booklet, Using your Common Scents, Videos, Ylang Ylang Essential OIl on December 1, 2016 by Lorrie Hargis. Back to school is the time for children, teenagers, and professional athletes to start participating in weekly sporting events such as football, volleyball, cross country and much more . This can mean sore muscles. There is nothing better than a massage with essential oils to relieve the muscle tension, inflammation and soreness. Essential oils are soothing, anti-inflammatory and analgesic. The first blend that I like to use for sore muscles is Recover blend made with Wintergreen, Camphor, Rosemary, Cajeput, Siberian Pine, Clove, Helichrysum, Juniper berries, Peppermint and Frankincense.This blend combines essential oils that help to reduce inflammation and stimulate circulation which helps to ease pain. By adding more Peppermint to the blend it increases its anti-inflammatory properties. I also have added Lemon to the formulation because Lemon contains Limonene known to break up uric acid and stimulate the lymphatic and circulatory systems. This helps the muscles to release the uric acid leaving the muscles soothed and relaxed. Place essential oils and carrier oil in 2oz bottle. Roll between your hands and until ingredients are mixed thoroughly. Place on sore muscles twice daily. For Children 6 years and up: Do not use the Recover soothing blend- Use 3 drops Peppermint and 3 drops Lemon in 2oz carrier oil. 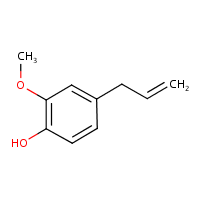 Contraindications: Do not use in pregnancy, breastfeeding, children, and people with sensitivity to aspirin (salicylate)- this often applies to ADD/ADHD. Here’s the link for this week’s video on YouTube for Sore Muscles. PS. Got some great news. Stay tuned. 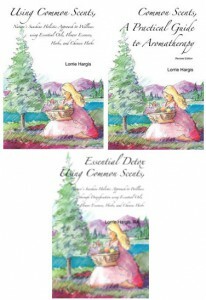 This entry was posted in Daily Essentials, DIY, Essential Oil Recipes, Essential Oils, Essential Oils Safety, Lemon Essential Oil, News Updates, Peppermint Essential Oil, Recover Soothing Blend and tagged Analgesic, Anti-inflammatory, Lemon, peppermint, Recover Soothing Blend, Relaxed, Soothing, Sore Muscles on August 30, 2015 by Lorrie Hargis. I just love to wear fresh, fruity, flowery and woody essential oils for my personal summer fragrance. When it is hot as it is France in the summer time this kind of fragrance uplifts, cools and energizes me. 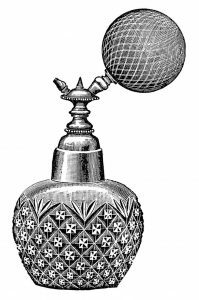 As a researcher and developer of Organic perfumes and skin care based on aromatherapy for over 11 years; one of my favorite kind of formulations to develop is perfume. This isn’t as easy it seems because there a lot of rules surrounding perfume especially when using one of my favorite sweet, fresh, fruity and flowery essential oils that has a beautiful green color- Bergamot. The reason it is so hard to use is because of its photo toxicity. In September, when I offer my 240 hour Aromatherapy program one of the things that I will be teaching will be how to safely formulate perfume and skin care products . This is why in this Summer Fragrance I have only used a very small amount of bergamot. I also give you pointers on how to wear a perfume in the video. If you do not want to wear it as a perfume you can use it to freshen up your room. 2oz Amber or colored bottle with sprayer. Mix alcohol, glycerine and water together. Place alcohol mixture into the bottle then add essential oils. Roll the bottle between your hands to mix the ingredients together. Put on sprayer. This entry was posted in Bergamot Essential Oil, DIY, Essential Oil Recipes, Essential Oils, Essential Oils Safety, Grapefruit Essential Oil, Lavender Essential Oil, Sandalwood Essential Oil, Summer Fragrance and tagged Bergamot Essential Oil, DIY, Essential oils, Grapefruit Essential Oil, lavender, Perfume, Safety with Essential Oils, Sandalwood Essential Oil, Summer Fragrance on August 9, 2015 by Lorrie Hargis.